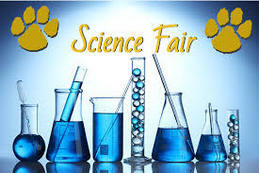 This year Saint Gregory's Science Fair will be held tentatively at the school on January 30th. Doors will open at 9:30. Jr. High students will also have the opportunity to compete against other Jr. High students in the diocese at North Catholic High School. More information about this event is still to come. A select group of Jr. High students will be going to PJAS regional competition at Slippery Rock University on February 23rd. More details to come regarding this science fair. See the tabs below for important deadlines, forms, and other information. Also visit www.pjas.net for more information regarding your project.